Paul Teutul Jr. Is Married To Wife Rachael Biester-What Makes Their Relationship Special? Find Out Here!! Home Article Paul Teutul Jr. Is Married To Wife Rachael Biester-What Makes Their Relationship b Special? Find Out Here!! Paul Teutul Jr. Is Married To Wife Rachael Biester-What Makes Their Relationship b Special? Find Out Here!! 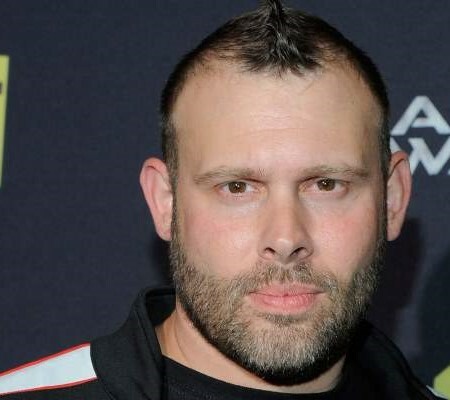 Paul Teutul Jr. made a name for himself through the Discovery Channel series American Chopper, later turning into a successful businessman and an owner of Paul Jr. Designs. Teutul's professional career is quite well known, but the same can't be said for his personal life which seems to be relatively under the radar. In today's section, we'll be providing you with details of his wedding as well as married life. Paul Teutul is married to his wife Rachael Biester. The couple tied the knot on 20th August 2010. The pair first met on the TV show titled American Chopper in an episode "McDuff Gas Tunk Protector". Back in 30th July 2010, TLC's Say Yes to the Dress series featured them as one of the couples. They were preparing for their big wedding day at the time. The duo married the following month in front of nearly 150 invited guests on Bonnet Island State. Also, see; American Rapper T Pain Is Married To Wife Amber Najm Since 2003; Are They Planning To Have Babies? The pair starred together in the TLC show "Say Yes to the Dress" where they were presented as a lovely couple and they were widely loved by fans. 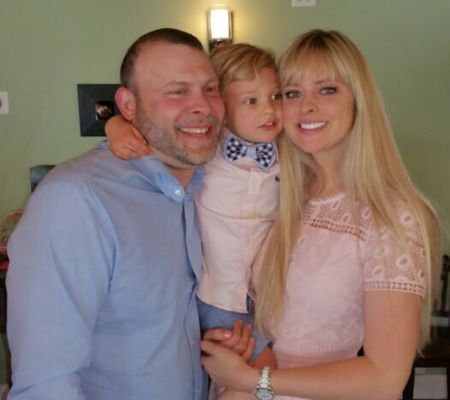 The couple welcomed their first child, a son named Hudson Seven Teutul on 3rd February 2015. Meanwhile, this adorable duo is enjoying a wonderful relationship. They appear to be open and honest about everything which is definitely a recipe for a successful relationship. During his high school days, Paul was initially involved with a Board Of Co-operative Educational Services. After completing high school, Teutul joined Orange County Ironworks full time, later becoming the head of its railing shop. Don't Miss; English Actor Hugh Laurie Is Married to Wife Jo Green For a Longtime; How Many Children Do They Share? Paul has appeared in several movies and television series too. He played the role of Mike in the movie Wild Hogs (2007) and Paulie Jr. in My Name Is Earl (2008). Moreover, he featured in American Chopper: Senior vs. Junior and Teenage Mutant Ninja Turtles: Out of the Shadows. American reality TV star Paul Teutul Jr. Furthermore, Paul featured in shows like Chasing Classic Cars, Azeroth Choppers, American Chopper: Senior vs. Junior, Late Show with David Letterman. Likewise, Teutul also featured in Celebrity Family Feud, King of the Hill, The Tony Danza Show, The Big Idea with Donny Deutsch, 101 Guiltiest Guilty Pleasures, and Ellen: The Ellen DeGeneres Show among others. Recommend; American Musician Richard Carpenter Married to Wife Mary for a long time; How many Children do they share? On 9th April 2009 during an episode of American Chopper, Paul’s employment from his father’s business was terminated. Later, he decided to voluntarily terminate his employment as a full-time member of the staff on 30th April 2009. Born on 2nd October 1974 in Yonkers, New York. His parents are Paul Teutul Sr. and Paula Teutul. He has two younger brothers named Daniel Teutul and Michael Teutul, and a younger sister named Cristin Teutul. 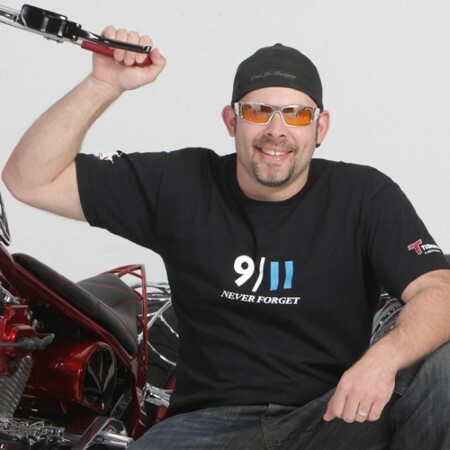 He is a reality star best known for appearing in the TLC series American Chopper, along with his family. He co-founded Orange County Choppers with his father in 1999. He learned about motorcycles through his father who carried a passion for it. He was involved in a fraud lawsuit for his role with OC Ironworks LLC back in 2007. His net worth is estimated to be $10 million.